With March upon us, expect a good slate of early spring activities in the Crescent City. And, with Mardi Gras happening later this year, there are even more opportunities to party. Also, the weather is warmer — hopefully just pleasantly warmer — the kind of spring sunshine that equals t-shirts and jeans, if not shorts. Mainly, we consider this time of year an awesome window when the Carnival wraps up (or, depending on the year, is over) and the festival season is yet to begin. This is that rare time when the city settles for a very slight breather between its biggest parties, although in this case, the “breather” doesn’t factor in till after TBD, and still means there’s a ton of stuff to do. Here are the highlights. First up is one of the best parties in the world! The Carnival season, which kicked off on January 6 (Twelfth Night/Epiphany), will culminate as usual on Mardi Gras Day (this year it falls on TBD). By the time March rolls around there have already been dozens of parades in New Orleans (over 80 total for the season! ), but the weekend leading up to Fat Tuesday is especially packed. Check out our schedule of this year’s parades that will roll in March and through Fat Tuesday in the city of New Orleans. There will be three to five parades daily/nightly starting on Friday, March 1 — and not just in the French Quarter and Uptown but other parts of town. Among the most popular parades are the super-krewes of Endymion, rolling in Mid-City on Saturday, and Bacchus, happening Uptown on Sunday. There will be walking parades, balls, block parties, and much more. Don’t miss the annual Greasing of the Poles at the Royal Sonesta Hotel on Friday and the Lundi Gras Festival at the Woldenberg Park on Monday. Also, read our guide to the main event of the Carnival, the Mardi Gras weekend. 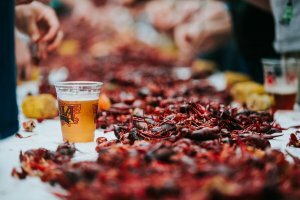 This is the greatest six days of the year to be in New Orleans, hands down, and if you happen to be here — well, all we can say is lucky you, and soak it in. It often comes as a surprise to first-time visitors to New Orleans that this city has a deep Irish heritage, which traces back to its history as a Catholic port of call that was one of the main entry points for the USA. There’s an entire neighborhood in this town called the Irish Channel, plus a plethora of fantastic pubs that eschew cheesy emerald-green Irish stereotypes for rough-hewn hospitality (Finn McCool’s and Erin Rose come to mind, plus a selection of our favorite Irish pubs in the French Quarter). As such, there are plenty of Irish in this town, and thus, the weekend of St. Patrick’s Day is an important one for the city of New Orleans. Numerous parades kick off, including a procession that starts and ends in the French Quarter in front of Molly’s at the Market (on Friday, March 15; try the frozen Irish coffee while you mingle), and the infamous Irish Channel parade (on Saturday, March 16), where float riders pass cabbages to the screaming crowds. The Downtown Irish Club Parade rolls on Sunday, March 17, from the Bywater to the French Quarter, making several pit stops on its way to Bourbon Street. How much you enjoy all of the above is linked to your tolerance for public drinking and green beer. St. Patrick’s Day in New Orleans is not quite as kid-friendly as the Carnival — you’ll still see families, but these parades are more aimed at the adults. The annual gathering of the Mardi Gras Indian tribes is perhaps the most open means of accessing this unique element of New Orleans backstreet culture. If you are lucky you might see the Indians out and about on St. Joseph’s Day (Tuesday, March 19), and the tribes will be out in larger numbers on Super Sunday, which usually falls on the third Sunday of March, coinciding with St. Patrick’s Day this year. While the Mardi Gras Indians have their set routes and parade areas, no one event packs the tribes into one public space like Super Sunday. In this case, said public spaces are A.L. Davis Park, at the corner of Washington and LaSalle streets; and Bayou St. John in Mid-City, at the intersection of Orleans and Moss streets, on the bayou’s banks and the Orleans Street bridge. The Indian procession usually leaves the gathering spot around 1 p.m. This year, the free festivities will begin at noon at the A.L. David Park. We can’t stress this enough: Be respectful if you go. Take pictures at a distance, and don’t get in the way of marching Indians or their friends, family and attached bands. Super Sunday has been overrun with spectators in the past few years, so please do your part to enjoy this amazing cultural event responsibly. There’s a ton more background on this fascinating subject at the Backstreet Cultural Museum in the historic Tremé neighborhood. Unwind with a cold beverage on any given Wednesday at the Square, a free concert music series held in the spring in Lafayette Park (located one block off of Poydras Street, between St. Charles Avenue and Camp Street) every Wednesday from 5 to 8 p.m., in the heart of the Central Business District. From March through May, these outdoor concerts feature a variety of jazz, rock, swam pop, brass, Latin rhythms, and more. Bring a chair or a blanket, or head to the front of the stage to partake in some dancing. You can bring your dog, and there are vendor booths surrounding the park where you can buy food and alcoholic and non-alcoholic beverages (no outside food or beverages, please). 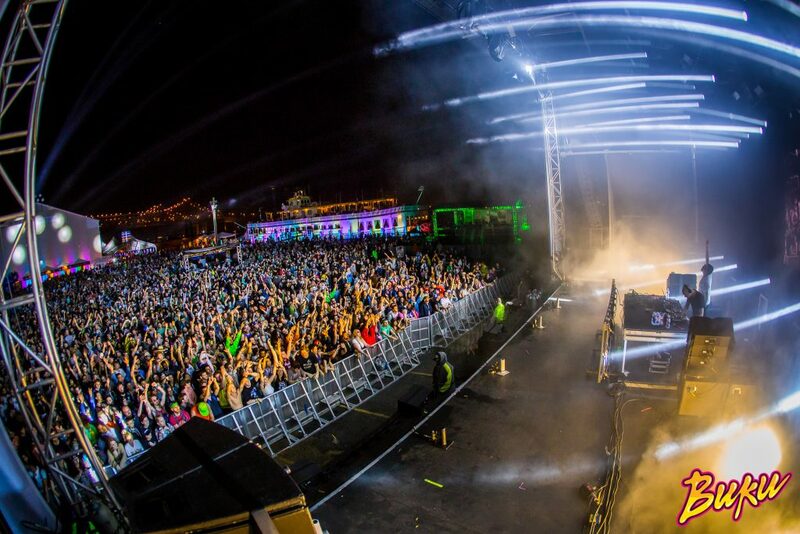 A mere eight years old in 2019, BUKU has already established itself in the firmament of can’t-miss New Orleans festivals. It’s the youngest major musical event of the year on several levels — not just by dint of its age, but by dint of the people attending the shows. Few other New Orleans events attract such a heavily millennial crowd, although we don’t want to give the impression it’s only under-30s at these shows; BUKU is for all ages. Still, said ages better appreciate electronica, EDM, hip-hop, and indie music — BUKU doesn’t try and loop in every act in the world, and instead focuses on the music it loves, plus creating a curated underground house party experience (albeit a party with a ton of sweet art installations). BUKU takes place at Blaine Kern’s Mardi Gras World along the Mississippi Riverfront. There are four stages, two of which are outdoors. Art demos include the annual Live Graffiti Gallery and a collaborative mural by street art stars. Lana del Ray and A$AP are among the headliners this year. 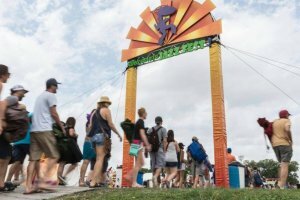 One-day passes start at $105. Writers have always been drawn to New Orleans. Few cities in America (or the world, really), can match this town for its atmosphere, sense of place, or penchant for fun and pathos (all good elements of a writing life). The Tennessee Williams Literary Festival celebrates this city’s love affair with the written word, as well as writers’ love affair with New Orleans. Notable authors will be in attendance, hosting seminars, workshops and lectures. Plus, this being the Tennessee Williams Festival, there is, of course, a “Stella” and “Stanley” contest, which involves folks screaming out the iconic scene from A Streetcar Named Desire to appreciative crowds on Jackson Square. This year the festival’s organizers promise a “dynamic staged reading of A Confederacy of Dunces that will include projections, music, and costumes.” The 2019 program will also include a scholars conference; breakfast book club, walking tours, a book fair, and more. Note that on March 29-31, the city will also host the Saints & Sinners Literary Festival, an alternative literary event that celebrates LGBTQ authors. The three-day festival will include panel discussions, master classes, and a fair amount of networking opportunities between authors, editors and publishers. In late spring, the hot scent of BBQ will once again mix with the twang of electric guitars at the UNO Lakefront Arena. Hogs for the Cause is an annual celebration of whole hog roasts and local music (with some national acts in the lineup as well). The event brings awareness to pediatric brain cancer, and the founders have — at least in this city — pioneered the idea of turning a hog roast into a charity event. The goal was to have a good time for a purpose — the more you drink, the more you eat, the more you help. The event began modestly in 2009 at The Fly at Audubon Park with maybe 200 people, and has now expanded into a massively popular regular on the city’s culinary and music calendar. This year’s music lineup includes the Hot 8 Brass Band, Lost Bayou Ramblers, and Dumpstaphunk with George Porter, Jr. Tickets start $30. The musical heritage of New Orleans follows a line that can be traced all the way back to Africa, where the black diaspora begins. The music of that continent evolved here and in the Caribbean, influenced by Europe and indigenous music, into the forms and traditions that are the core of today’s New Orleans sound. New World Rhythms Festival is a celebration of global and local music, and offers both amazing food and a fantastic lineup of music. Presented by the New Orleans Jazz & Heritage Foundation, the festival features Mardi Gras Indians, African dance, brass bands, soul-funk, as well as indigenous music of Honduras, and highlife from West Africa. The large art market and a Soul Food Court complete the experience. Don’t miss one of the fest’s highlights, the Mardi Gras Indian “battle” — when the tribes gather in the center of the square, plus the festival’s largest to date assemblage of New Orleans-based African dance troupes (they will all perform on Sunday). Big Chief Monk Boudreaux, the Grammy-winning Rebirth Brass Band, and the Original Pinettes Brass Band are scheduled to perform. And, the festival is free, so you have no excuse not to go.